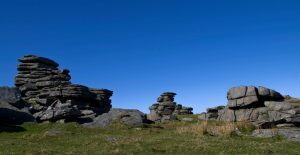 The University of Plymouth annual transdisciplinary practice-research postgraduate conference this year takes place in Dartmoor National Park over the weekend of 10-11 June 2017, and is now open for booking. Following the call for contributions, we are pleased to announce the schedule and open the conference up to any postgraduate students and early career researchers, based at any institution, who may wish to attend. Please see the schedule for more information on the range of workshops, performances, and papers throughout the weekend. We are able to offer a few open sessions, whereby anyone who isn’t presenting has an opportunity to share their work and research informally, either through discussion or a prepared Pecha Kucha. This will work in a similar format to an ‘open-mic’ event, whereby anyone interested in sharing will be able to sign up at the start of the session. There will also be opportunity throughout the weekend for conversations to develop. 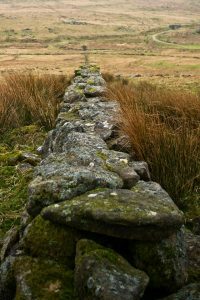 We wish to create a community of knowledge sharing that promotes discussion and action through doing, and the workshops scheduled take us out outside, on to the moors. Please note, due to the nature of the accommodation and the environment, the conference does present accessibility issues. If you would like to attend and this is impeded by the nature of the conference please let us know, and we will discuss how we can facilitate this. We are able to offer free places for University of Plymouth affiliated students, and subsidized places for non University of Plymouth affiliated students at a rate of £30 for the entire weekend. This covers attendance, accommodation and Sunday’s food. Places are limited and available on a first-come first-serve basis. This event is organized by Chris Green, Katheryn Owens and Beth Emily Richards, who are all PhD candidates in the Performance.Experience.Presence (P.E.P) research group at Plymouth University. It is supported through funding from the School of Humanities and Performing Arts and P.E.P. at Plymouth University, and the Hardship Fund kindly donated by Natalie Raven via Santander funding.